Completion of booking and/or payment of deposit is deemed as acceptance of these terms and conditions of booking. All reservations for accommodation are applied for and accepted subject to the following terms and conditions: In these conditions the Company means Largie Estates or Point Sands Holiday Park; “you” and “your” refers to the person who signs the Booking Form. To confirm your holiday booking we must receive for each week/part week a non-returnable deposit of £75. This deposit will be deducted from the total balance due. Once issued, changes to the hire invoice at your request, or re-invoicing due to loss, will be subject to a £15 charge. We also reserve the right to pass on any charges arising from re-presenting cheques & processing late payments (subject min. £15). Balance of payment must be received at least 6 weeks before commencement of your holiday. Any discount given will be automatically forfeited if the balance is not received 6 weeks before your holiday start date. Please note that if the balance is not received by the due date we reserve the right to cancel your booking, retain the deposit (see above) and re-let the accommodation. We do not send a reminder after the invoice has been sent. Payments can be made by Cheque, Debit/ Credit Cards, Bank Transfer to Largie Estates c/o Weatherbys Bank Account No: 00312117 Sort Code: 60-93-03 with your booking reference; we do not accept American Express.. Cheques should be crossed and made payable to Largie Estates. Please put your address and the booking reference on the back of cheques. V.A.T. is included within our tariffs at the rate current for January 2017 @ 20% and is subject to change if V.A.T. rates change. A reservation constitutes a legal contract. 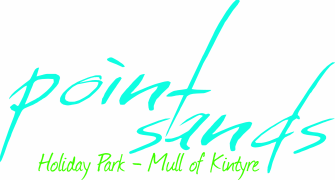 Once a booking confirmation has been issued by Point Sands Holiday Park following receipt of a completed or online booking form or verbal agreement and deposit, the first-named person on the Booking Form is responsible for the total price of the accommodation. IN NO CIRCUMSTANCES CAN THE DEPOSIT PAYMENT BE RETURNED. The same applies to subsequent balances due or paid where cancellation is for any reason(s). Any accommodation not paid for in full by 6 weeks of the due date of arrival may be immediately re-let by Point Sands Holiday Park. We reserve the right in any circumstances to cancel your holiday, and in this event we will try (but cannot guarantee) to offer you an alternative holiday of comparable standard subject to availability, alternatively refund your total cost of holiday as paid to us but you will have no additional claim against us or any letting agent. Company which shall be damaged, destroyed or removed. All our caravans are designated no-smoking but we can only rely wholly on the co-operation of all our guests to achieve this. We cannot accept responsibility, or offer any form of compensation, because of inconsiderate disregard of this smoking ban by previous occupants of any particular caravan. Due to our remote location we cannot guarantee wifi in holiday caravans or around the park, however there is a good 3G signal on EE and other providers. Your accommodation will be available from 3.00pm on the day of your arrival. We are of course happy to welcome you at the Park earlier, where you can have full use of all facilities until your accommodation is ready. To prepare for our incoming guests, we request all accommodation is vacated by 10.00am on day of departure. At quiet times you may be able to check out later, please speak to reception the day before departure. Important - You must tell us if for any reason you will not be arriving until after 10.00am the morning following the day you are due to arrive. If we have heard nothing from you by 10.00am the following day, we reserve the right to re-let your accommodation & regret that there can be no refund to you. Glad to help, but we must charge a minimum flat rate of £10 for return to cover admin., post and package etc. Dogs may accompany you in your holiday let but are restricted to 2 dogs per hire caravan. We politely ask that you refrain from allowing your dogs onto the furniture or into the bedrooms. Dogs must be on a lead in the park areas. Dog owners are required to clear up after their dogs using the dog bins provided, any owner not clearing up after their dog will be asked to leave the park immediately, no refunds will be given. Please refer to tariff for charges. Vehicles must not exceed 5 miles per hour within our Parks and must only be driven by holders of a current driving licence having adequate Third Party insurance. The Company will not be responsible for any loss or damage to vehicles, property or persons, howsoever caused, in these respects or vehicles stationary/parked. We reserve the right to decline a booking, transfer a booking or terminate a holiday without compensation or refund, if in the opinion of the Management the unreasonable behaviour (actual or anticipated with good reason) of residents or day visitors may lead to a situation that could prejudice the safety, enjoyment or comfort of others. Remember neighbours - when returning to the park at night, please do so quietly and with consideration for others. Residents wishing to entertain day visitors during their stay at our Parks may do so subject to Management approval. Arrangements should be made with RECEPTION beforehand by the Resident who must accept full responsibility for such day visitors. Each day visitor must register at Reception and may stay only during the day/evening (ie not overnight). Day visitors are required to observe all Park Rules. Children under the age of 18 years remain the responsibility of their parents or guardians at all times. Please request in advance for the use of cots & high chairs. We do not provide a babysitting service, however we can recommend local people. If you feel that you have any comments you wish to make whilst on holiday, please speak to our Park Wardens. In most cases they will be able to help you on the spot. Where this is not the case, please make sure that you record the details with the Park Warden and then write to our Park Manager no later than 14 days after the end of your holiday. Please note that we cannot subsequently act on any problem that has not been brought to the attention of the Park Management at the time it arose. The Company will endeavour to provide all facilities advertised in the brochure or elsewhere but reserves the right to make changes at any time. Levels of some facilities will vary according to time of year and/or numbers of people on the park. All descriptions/photographs are intended for guidance only.